Wedding Cupcakes, originally uploaded by Manassas Cakery. Another cupcake topper, two hearts joining into one as the bride and groom have done. The joy of the day is captured beautifully in the bride’s feet lifting from her shoes with the serene look of content on both her and her groom’s face. Short simple and sweet! It’s called “Love one another” and is part of the Most Sincerely line designed by Claire Stoner. donut cake, originally uploaded by Manassas Cakery. Aw, aren’t they such a “sweet” couple? Or maybe they’re just a couple of nuts, donuts that is! A cupcake topper that could almost steal the show from the bride! 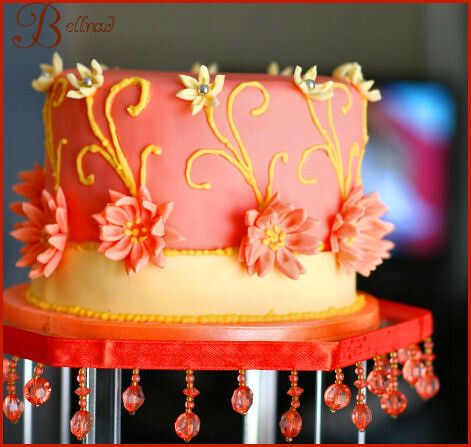 Castle Fountain Wedding Cake, originally uploaded by Manassas Cakery. Prince Charming prepares to carry of his Princess Bride to his castle in this elaborate and classic cake topper. Good luck with all those stairs! Ahhh…the happy couple…, originally uploaded by pmsandvodka. 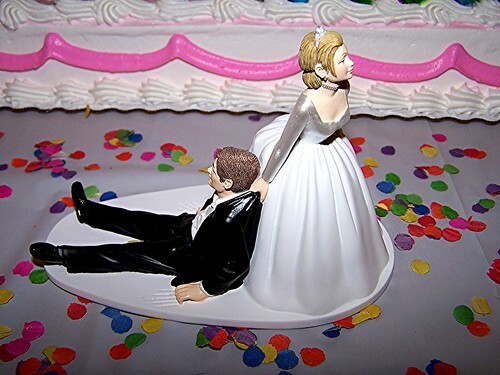 For the couple looking for a little realism in their cake topper! 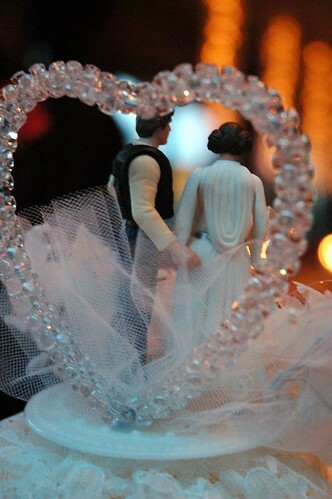 Hans Solo and Princess Leia cake topper, originally uploaded by .kaishin..
A sign for things to come or merely a coincidence? Here’s hoping for Hans once Leia finds his hand that low on her backside. He’s going to need more than the power of the Force to save him. 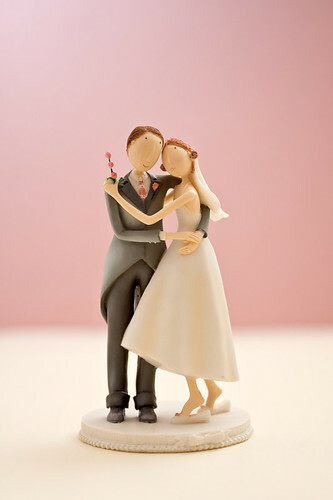 Thanks for dropping by and taking a look at the wonderfully unique wedding cake toppers we have found. If you have a topper for a wedding cake you like, please submit it to dell.atlas@gmail.com and if we like your custom cake topper we'll add it to this site.